Mud cupcakes! Now doesn’t that sound appealing? Oh, not that kind of mud. We’re talking about chocolate mud, the kind of mud that is dark and fudgy and rich and sweet and most importantly, edible—and we’re putting it in cupcakes. Turns out, Mississippi (I swear to god, I’ll never spell that right on the first try unless I say the rhyme out loud) mud pie is actually a thing in the south. In one cookbook I recently looked at, Baked Explorations by Matt Lewis, the pie is described as “a very dense, very sweet chocolate cake. Fudgy comes to mind. It is also probably covered or made with marshmallows and topped with pecans and chocolate sauce.” However, “Mississippi mud pie (or cake) varies widely in interpretation and means many things to many people.” There are actually two variations included in Baked Explorations, one a sort of no-bake pie reminiscent of a many-layered candy bar, the other a flourless chocolate cake topped with a thick layer of pudding and whipped cream. A third variation is in another cookbook, Vintage Cakes by Julie Richardson—mud cupcakes, stuffed with chocolate chips, pecans, and mini marshmallows and topped with marshmallow frosting. 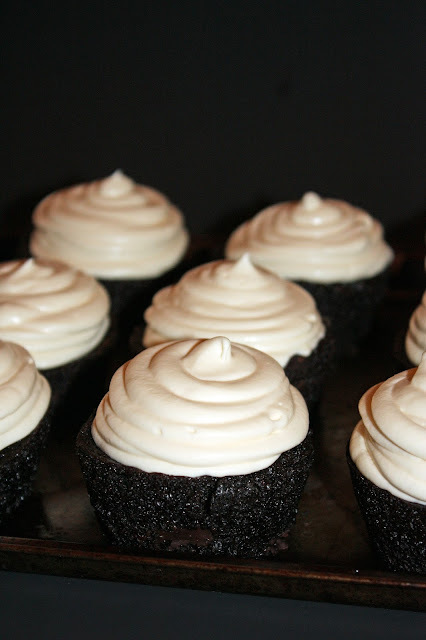 On a whim, I decided to make my own variation of Mississippi mud cupcakes for a friend’s birthday (they told me the day before! I was a little rushed), made with cream cheese frosting instead of egg-filled marshmallow frosting. And obviously, unless I went on a last-minute jaunt over to Whole Foods to find some vegan marshmallows, I couldn’t use actual, gelatin-infused marshmallows in the cake, so I was forced to omit that ingredient as well. 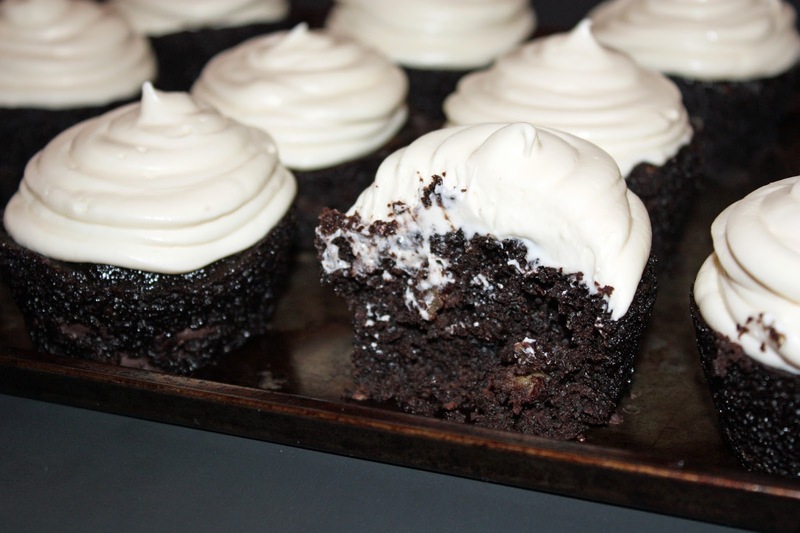 The result—rich chocolate cupcakes with plenty of chocolate chips and toasted pecans and a mound of fluffy cream cheese frosting—might not resemble Mississippi mud pie at all, but damn if it’s not delicious. That is some seriously DARK chocolate. But to satisfy any purists out there, I included an optional “toppings” section in the ingredients: mini vegan marshmallows (although I have no idea where you’d buy those) and chocolate ganache. I imagine those would both make great additions to these already-terrific cupcakes. 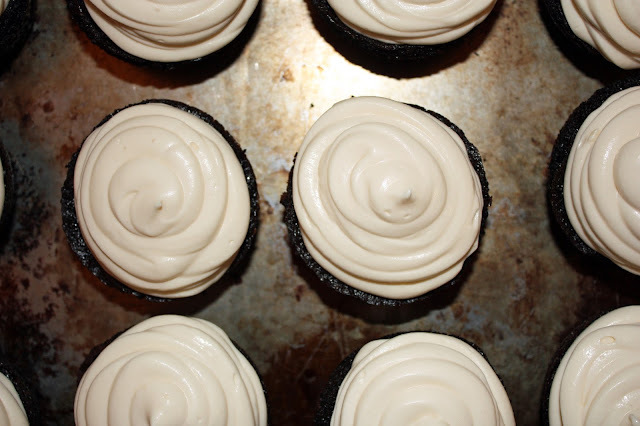 You are now hypnotized by swirls of frosting. Perhaps later I’ll make a more authentic Mississippi mud pie. Maybe something like that flourless chocolate cake-pudding concoction in Baked Explorations. But for now, these cupcakes will suffice. My friend was certainly happy with them. Preheat oven to 350 degrees F. Line 12 cupcake tins with paper liners or simply grease well. In a small bowl, combine flaxseed and water. Combine hot coffee and cocoa in a separate small bowl. Set aside. In a large bowl, sift together flour, sugar, baking powder, salt, and baking soda. Stir in pecans and chocolate chips. Whisk together flaxseed mixture, milk, vinegar, oil, vanilla, and cocoa mixture in a separate bowl. Add wet ingredients to dry and stir just until combined. Do not over-mix. Divide batter evenly between prepared tins. 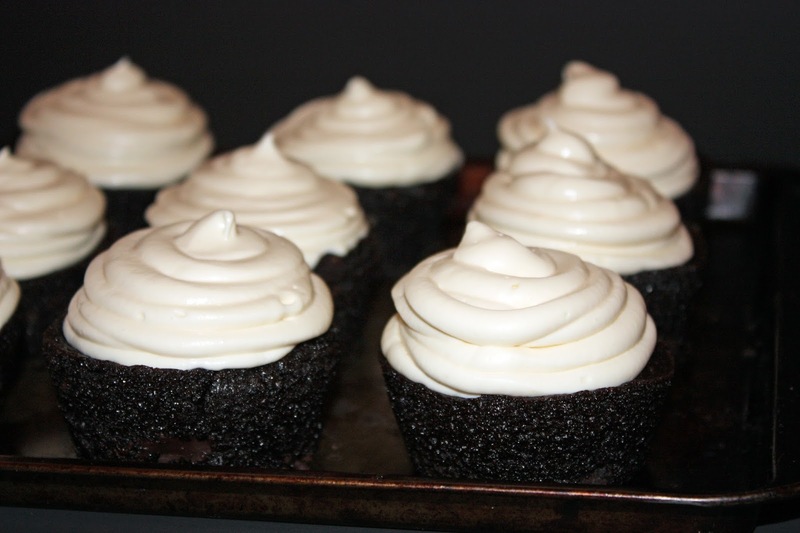 Bake for 20 minutes, until the cupcakes have domed on top and bounce back when lightly pressed. Cool in tins on a wire rack. 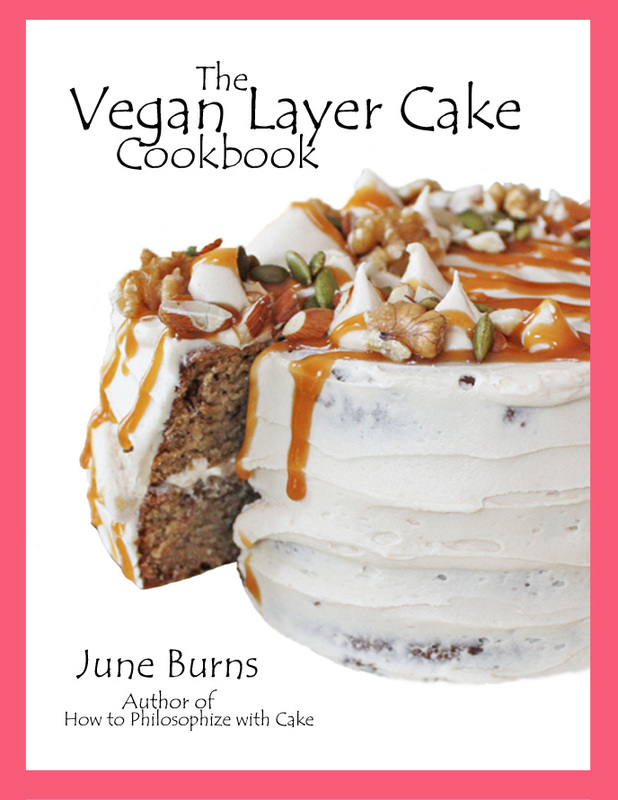 To make frosting, start by placing vegan butter in the bowl of an electric stand mixer and beat until smooth. Add vegan cream cheese and beat until smooth again. Sift in powdered sugar and continue beating. Add vanilla and incorporate. Increase speed to medium-high and beat for another 2 minutes, until fluffy. Pipe frosting on top of cupcakes. If desired, add some chocolate ganache and vegan marshmallows on top. Munch. The lack of natural light in these photos is making me weep. For more delicious birthday-worthy cupcakes, check out these posts below. 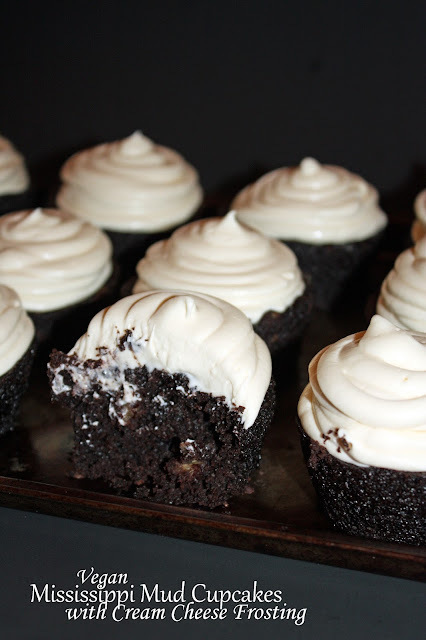 Cappuccino cupcakes. Actually pretty similar to these cakes. Fudgy brownie cupcakes with matcha frosting. Like tiny Christmas trees! Pistachio rose cupcakes. For your Persian feast needs. Tomato cupcakes with balsamic frosting. Strange but good.